Visit American Patchwork & Quilting at www.allpeoplequilt.com. Visit host Pat Sloan at www.patsloan.com. BONUS for our podcast subscribers! 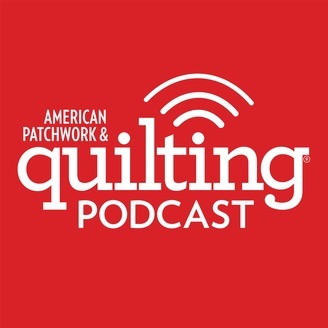 Get 60% off a subscription to American Patchwork & Quilting. 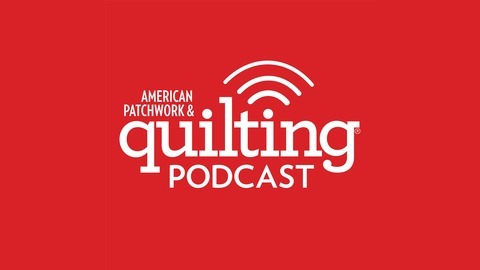 Visit www.allpeoplequilt.com/deal and use coupon code PODCAST at checkout. BONUS for our podcast subscribers! Get 50% off a digital quilt pattern of your choice in our online shop. Visit apqshop.com, and use coupon code PODCAST at checkout. Guests: Ann Shaw, Karen Tripp, Kristy Daum, and Jayne Willis join Pat for a chat! Guests: Marci Debetaz, Carole Lyles Shaw, Shannon Fraser, and Kelli Fannin join Pat for a chat! Guests: Kelly Parker Smith, Joanne Hillestad, Kim Jamieson-Hirst, Michelle May join Pat for a chat!